PREREQUISITE: Sign up for Lotions I http://www.anarreshealth.ca/workshop/workshop-lotions-i. I teach specific ingredients and technique. Please don't register for this unless you have taken Lotions I with me. THIS SESSION INCLUDES anti-ageing cream, baby creams and sunscreens. This Advanced Lotions II class emphasizes techniques to extend shelf life and to create stable lotion and cream bases using common kitchen equipment. These bases can then be easily enhanced to create hair conditioners, medicated creams, fabric softeners, moisturizers and premium skin care products. Conquer dry, itchy skin, ageing and blemished skin, in new and unique ways in this follow-up workshop to the popular Lotions Potions and Creams. 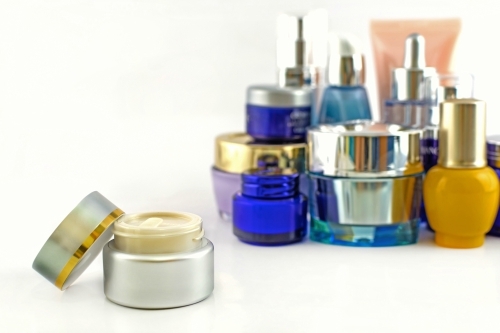 The obnoxious fragrances and unreadable ingredients of drugstore moisturizing lotions are unnecessary - you can make fabulous formulas with all natural effective ingredients. Make light, finely textured creams and lotions that moisturize and nourish skin without the feeling of being dunked in a tank of grease. Come to learn to make new, customized lotions, for yourself, your family, and your clients. We'll use simple, natural, vegan ingredients like vegetable waxes and flower waters. You'll choose enhancing ingredients like essential oils, cocoa butter, shea butter, argan, tamanu, evening primrose, rosehip and calendula oil to meet individual skin needs. You'll not only learn how to make new variations of the holistic aromatherapy classic "basic white lotion" and "basic white cream" from scratch, but also how to protect yourself and your loved ones, no matter how young, from harmful sun rays, while still making and storing essential vitamin D by using natural ingredients like shea butter, cocoa butter, coconut and avocado oils. You'll preserve with essential oils and grapefruit seed extract instead of harmful ingredients. Finally, we'll package and label your creations in beautiful cobalt blue jars, metal and glass pump bottles. You'll come away with the lotions, potions and creams you've made, and skills that can serve you for a lifetime for a fraction of the cost of a quality moisturizer! * By cheque or money order mailed to Anarres Apothecary, 1076 Bloor St W, Toronto, ON., M6H 1M6. If we haven't received your payment or your registration order was stopped-in-checkout, we won't be sure if you are coming. Please DO call or email us if you plan to come but haven't prepaid. Please DO register online, but if you can't please call us and ask us to register you in our system. We'll need your name, address and phone number. If we don't receive your payment 7 days in advance, you will be charged the regular rate on arrival: $225 + HST even if you put in an order a week or more ahead of time. If your payment arrived late, you will need to pay the difference on arrival. Repeats every 6 months on the fourth Sunday until Tue Dec 31 2019 . Also includes Sun Jun 23 2019.